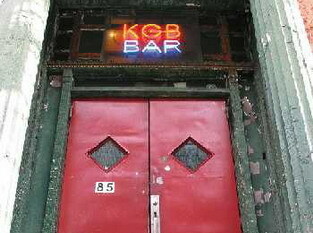 The KGB Lit Bar is quickly becoming my favorite NYC author reading spot. I love its moody atmosphere and its tight spaces. I love that a crowd of twenty or thirty people feels like a hundred. That's right, ya'll! 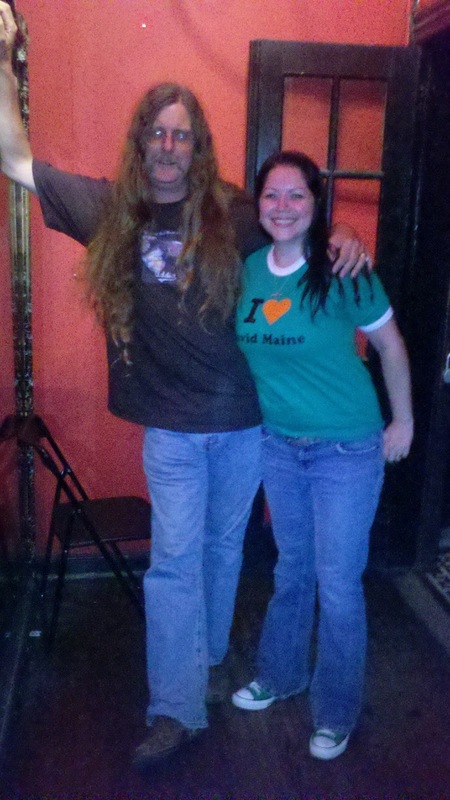 We had a full house on September 16th for David Maine's reading! I can't take all of the credit for it of course. David was one of two readers in the Sunday Night Fiction event, curated by Suzanne Dottino. The other author? Kathleen Alcott, who's debut novel The Dangers of Proximal Alphabets is causing a bit of a stir in the world. The event went down better than I could have ever dreamed. Tara (booksexyreview, the ultimate bookish BFF) hung out with us; Christoph, a writer/ musician who I met on my last visit to KGB, popped in; and new TNBBC member Tim (hi, Tim!) dropped by the table and introduced himself. The video is dark and grainy because, well, the KGB is dark and grainy! If you haven't been yet, I strongly you encourage you to swing by on your next visit to NYC. A huge thank you to David for allowing me the opportunity to book him a few gigs (even if the first one did end in a humiliating disaster). And as I am sure you can guess, I'm feeling much better about my little corner of the literary world right about now. I would totally have been there, you know, if geography weren't an issue. I'm super jealous of all the people who got to go--it looks like an awesome time!